Not known for its islands, Mexico actually does boast its own little Caribbean slice of paradise. Cozumel is the ideal day-trip destination, where an amazing reef system, an ecological park, along with walkable and vibrant downtown makes for a day filled with exciting things to do and stunning sights to see. 26 miles long, and just 9 miles wide, the island hosts about 2 ½ million visitors every year. Guests to this gem of an island discover the stunning reefs, pristine beaches, and – on the east side of the island – some serious surf. The west side of the island is much calmer. The name comes from the Mayan word Cuzamil, which means “land of the swallows,” and has a nice ring to it for good measure. 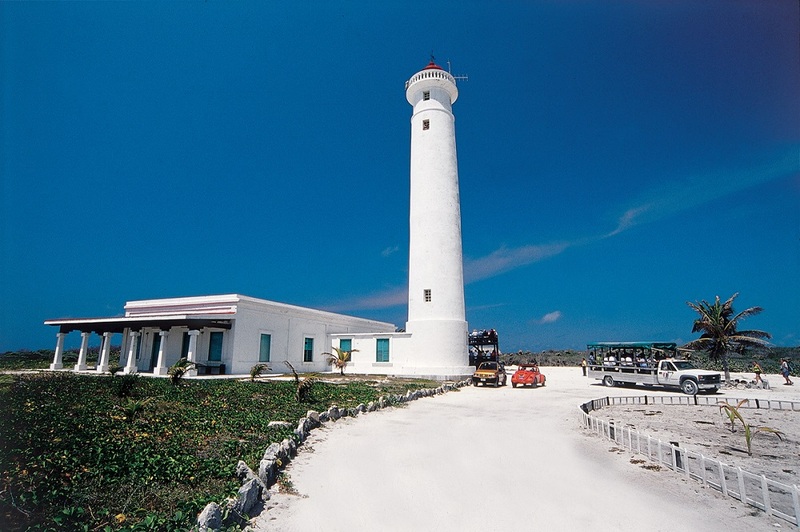 With such paradise features and such a large number of visitors a year, Cozumel ensures that a day in town will be one to remember, with great cuisine and great activities. This island is a snorkeling and scuba diving dream. 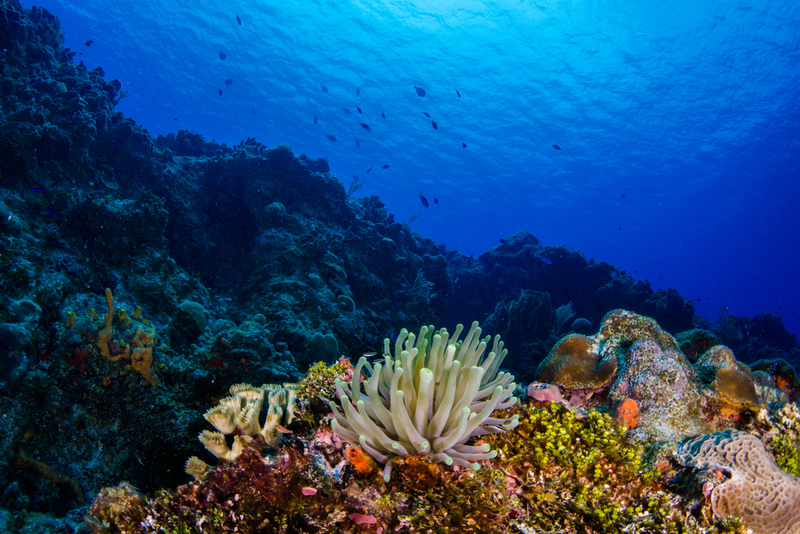 Hundreds of dive sites all hug the seemingly endless colorful coral formations as part of the world’s second largest barrier reef system, the Mesoamerican Barrier Reef System, offering opportunities for divers of all levels. Perfect for beginners, certain spots in Cozumel let you snorkel right from the beach. Spot octopus, crab, tropical fish, sea turtles, and beautiful coral reefs. Along the Tormentos Reef, you might even spot moray eels. Beginner level sites are still thrilling with endless species and corals to look out for. 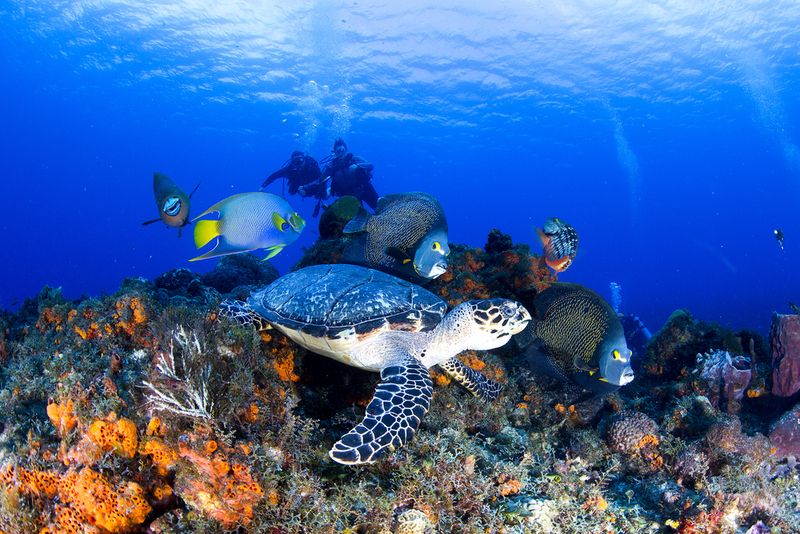 For those looking for more of an advanced taste of diving off the coast of Cozumel, there are plenty to choose from, including along the Punta Sur Reef, located near the island’s southern tip, famous for a coral formation known as “Devil’s Throat,” a descent down narrow canyons and coral passageways 130 feet deep. Because of its unique geography, coral reef environs, and tropical temperatures, it’s no surprise that Cozumel is a fascinating destination for a day-trip into ecological wonders. The Punta Sur Eco Beach Park is a sprawling ecological paradise at the southern tip of the island, boasting 2,500 acres of protected land full of of indigenous species that include exotic birds, crocodiles and sea turtles. The park is also home to the authentic El Caracol Mayan ruins, meaning the stop here is equally filled with historical wonders as it is ecological. A stop by the Faro Celerain Lighthouse is also a must, where you’ll get to see a beautiful lighthouse and, inside, an informative maritime museum. And like anywhere else on the island, the park also doubles as a beach paradise, so bring a swimsuit. A soothing dip into the calm waters of the area will be a great way to wind things down. Be transported to a truly unique culture. 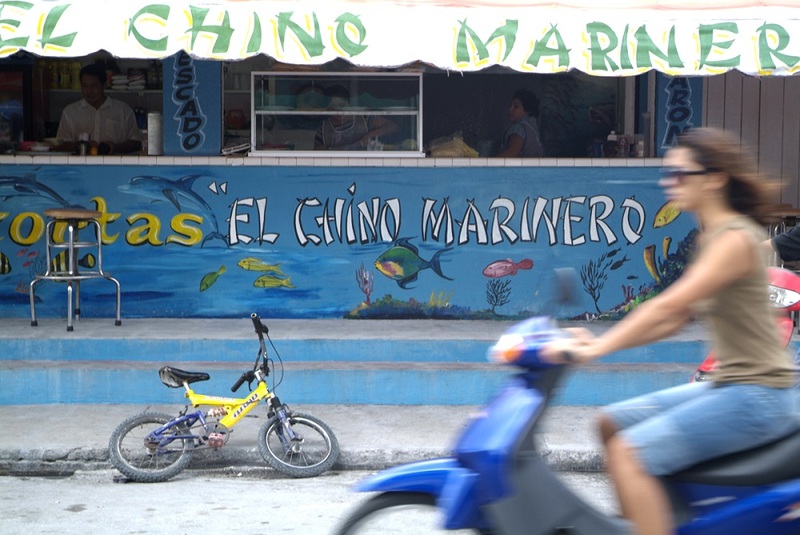 That short boat trip from Cancun will take you into an exiting little town, both idyllic and vibrant. This is Mexico with Caribbean vibes, which means the nightlife here – though bustling and fun – will be more laid back than you’d find in Cancun. Extremely walkable, downtown Cozumel is a beautiful way to get your steps in. Stroll into downtown San Miguel, where more than 100 restaurants and sidewalk cafés line the streets, and vendors and shops will offer big bargains (perfect for that souvenir to take home). You’ll find a variety of things, from French perfume, Swiss watches, Mexican silver, to other luxury items. When you’re tired, sit down for some traditional Cozumel chocolomo, a Mexican stew, or some cochinita pibil tacos, Yucatan pulled pork. Don’t be surprised to find a free concert underway in the main square. This is like any great downtown in any tropical city, with features that are uniquely Cozumel. 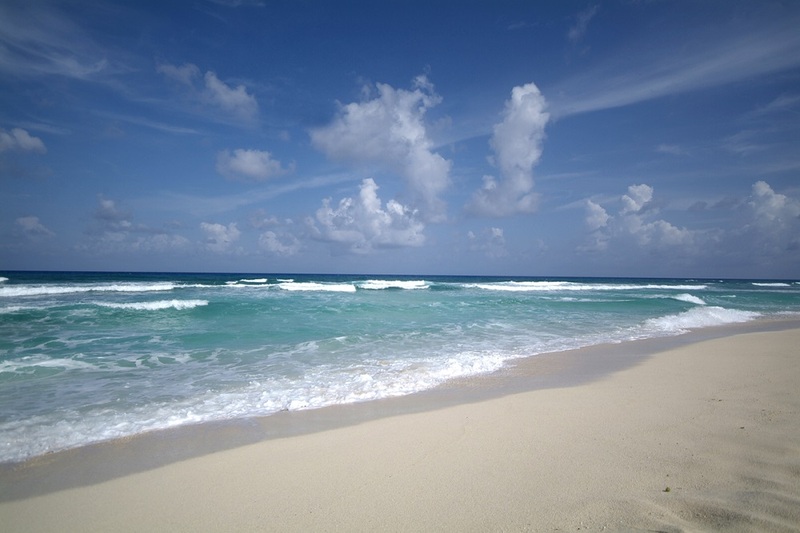 Together with GOGO Vacations, your local travel agent will get you on island time – in Mexico.